Signature is bringing the holiday spirit to every resident this year with Operation HolidayCard, a big undertaking to give each resident a personal holiday card. It’s the first time Signature has aimed to spread the holiday spirit in this way, and churches, schools and more from Kentucky to Florida are getting involved. “It doesn’t have to be a big gift to bring the Christmas spirit to our residents. A personal holiday card, handmade or individually signed, is a powerful undertaking to give each of our residents, and our stakeholders and the community rose the occasion,”Angie McAllister, Signature’s Director of Cultural Transformation, said. Louisville is a hub for aging innovation, and with Operation Holiday Card, it’s also a hub for giving and compassion to aging adults. 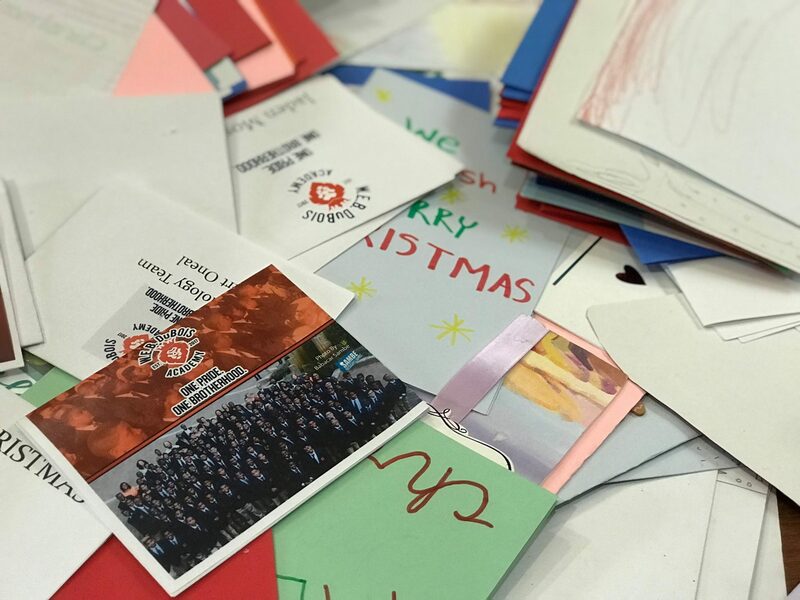 Jefferson County Middle School students in Louisville, Kentucky were part of the massive effort generating thousands of hand-made cards for Signature residents and delivering them toSignature HealthCARE at Jefferson Manor. Holiday Cards collected acrossLouisville and the region are distributed to Signature residents across 10 states.